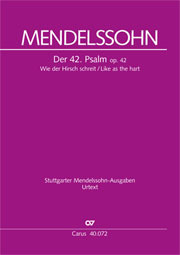 Mendelssohn was inspired by psalm texts throughout his entire career. 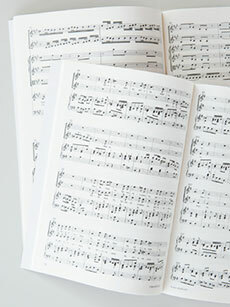 Besides pieces for a cappella chorus, he left behind five large-scale orchestral psalm settings. 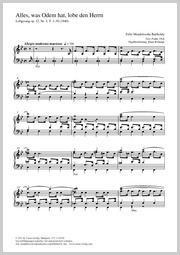 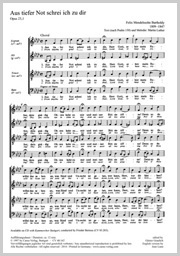 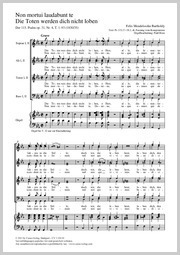 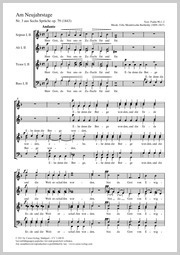 Schumann, writing in 1837, regarded Psalm 42 as “the highest pinnacle ever reached by Mendelssohn the church composer or, indeed, by more recent church music altogether.” One of the most impressive of these pieces is surely the monumental Psalm 114, written throughout for eight-part chorus without solo voices. 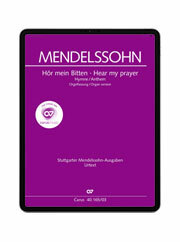 Felix Mendelssohn Bartholdy: Am Neujahrstage "Herr Gott, du bist unsre Zuflucht für und für"